South Africa is currently still reeling from the ‘Gupta scandal’, but in recent news one of the leading global auditors has come under intense fire for a number of aspects, including its links to the Gupta family. In this short post, we will review the recent news and examine the future for the auditor in the country in the wake of incredible action by the South African government. On Tuesday, it was announced that South Africa has banned KPMG from auditing public companies within the country. The move comes on the back of a number of scandals involving the auditor, including its ties to the Gupta family and also the recent collapse of VBS, a South African bank that despite being given a clean bill of health by the auditor collapsed a short time later. It has been stated by KPMG that senior officials within the South African arm of the company have left the company before they could face disciplinary action for failing to declare a financial interest in the bank. Although KPMG had sent a number of high-ranking people to the unit to attempt to ward off this current outcome, it was to no avail, with the South African auditor-general stating that the company would benefit from no future contracts because of the ‘significant reputational risks’ associated with it in light of recent events. The Financial Times has reported that a number of South African financial institutions have since cut ties with the auditor, or are in the process of doing so, which serves only to deepen the crisis for KPMG further; the unit’s chairman declared that they had ‘reached the breaking point’, and it is likely that this recent and unprecedented action may see his statement proven correct. 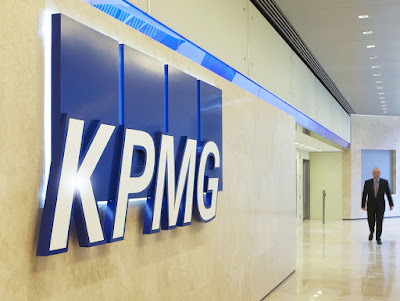 However, other auditors have been banned from auditing public companies in other jurisdictions (like India and Japan), so it is likely KPMG will be working on a strategy to clean up its act to the satisfaction of the South African authorities, but it is certainly a testing time for the auditor in the region. However, as the author is based in the U.K. it cannot escape my attention that, as was noted by Professor Shah, ‘in the UK, there is not even a whiff of this kind of attitude from the government or the regulator’, which begs the obvious question – why? In the U.K., the massive failure of Carillion, which after investigation has been found to have auditors’ fingerprints all over it, is surely a vehicle for which this type of action may have been considered. But, as Shah says, there has not even been an inference that anything so impactful would be considered by those in power. In truth, this is perhaps a damning indictment of the situation within the U.K., a situation which portrays a continuing and systemic ‘capturing’ of the British authorities. It is often said that what may be required is a massive crisis to jolt the system and redress the balance somewhat, but this is not true because the Financial Crisis did not redress this balance; in fact, it probably created further imbalance. Thinking further still, it is potentially even more incriminating that suggestions such as public bans have not really been proposed, never mind instituted. Yesterday’s news casts a shadow over other regions who have suffered in a similar manner to South Africa but have not acted.